Housing Week in Middle-Earth #7 : The Final Fifteen ! Home News Contests Housing Week in Middle-Earth #7 : The Final Fifteen ! 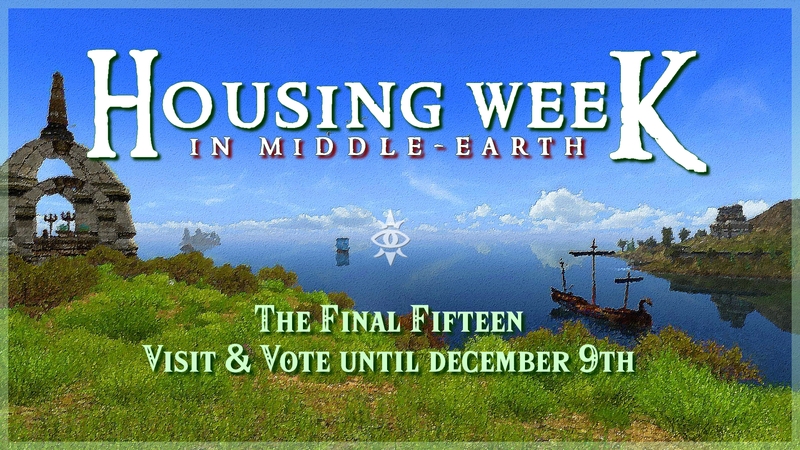 At last D&Co presents the Final Fifteen of the 7th Bi-annual Housing Week in Middle Earth contest ! It’s time for everyone to sit down with a pen and paper (and maybe something to drink) and tally up the points for their favorite Personal Houses in this edition of Housing Week in Middle-Earth contest. First of all I want to warmly thank every single one of the entrants who decided to participate in this winter’s contest ! There were 59 total entries this time around which is a new record (53 last time…) ! Again, thank you to everyone who participated. Unfortunately, as is always the case, choices had to be made. Holding a contest with more than 50 houses is simply not possible.After reflection I decided to present a list of 15 homes with descriptions and pictures. It is very complicated to organize a contest with numbers beyond this. However, I want the home owners whom I could not select to know I appreciate their participation very much. As always, my decisions are often based on a number of different criteria but everyone had some nice and unique things to show. The unselected houses will be presented at the end of the competition. So here they are, 15 houses from which a single one will be chosen to rule them all ! As always, a photo report has been created for each house but I strongly encourage you to visit them all yourselves if possible. Take your time in exploring them, tally up the numbers, cast your votes, and enjoy !  Note : the name of the neighborhood is not necessarily very similar depending on the language used in the game, so the language of the client (launcher) is specified each time under the address. With regards to the voting…. Housing Week in Middle Earth would not be what it is without your (the public’s) thoughts and participation. Thank you for your time in considering the final candidates and submitting your votes. The Rewards are listed here. You have until Sunday, December 9th, 5:59pm Eastern Daylight Savings time, to vote. You can vote for yourself if you like. Votes like “I give myself a 10 and everyone else a 1” will be refused. You can give yourself a 10 but intentionally lowering the average score of other houses will not be considered. If you have any questions, please do not hesitate to ask ! Next PostHousing Week in Middle Earth #7 : Results ! Still all these houses seem to be very beautiful. I’m going to visit them all! I am so sorry ! It seems that there was an issue when transferring screenshots. The French version was not affected. Fixed ! I am a resident of Landroval, where role playing has been encouraged for many years. My role in our community has been to consult on decorating homes and kinhouses. Initially, this was just for special events, like weddings or holiday parties. As my client list grew, my decorating services began to include entire homes and kinhouses. I have definite ideas about interior and exterior design, and some of you will be a little unhappy with me. A house should function well for daily use; storage, crafting, social activities like playing music or dancing, etc. A house can also be nothing more than a trophy collection (kinhouses tend toward this, especially raid trophies), and I have done quite a few ‘dead animal’ houses for people. There are also clients who strongly desire a ‘theme’ house. Right up front, I will tell you that I do not block off rooms. I rarely also use that ugly purple rug, which needs to be burned, and the strong dark wall and floor colors, unless requested by the owner of a theme house. Housing items should also be ‘best-in-slot’, from quests or reputation or rare drops. Items commonly purchased from the suppliers are only used as placeholders until a better item can be obtained, or until the homeowner can be present during decorating to replace the placeholders with specific bound items. All of the above said, Aoumiel’s themed house in Falfiant at 2 Cape is extraordinary. Most of the space is blocked off. The colors are strong, black and red. No one could possibly live there, and I don’t see how the house functions on a daily basis. BUT, it is clever, smart, chilling. And the use of item overlays is brilliant, with careful exacting attention to alignment and smooth edges. And I love the yard. I was looking for good decorating while viewing the 14 homes. I was looking for clever and smart. I was looking for good colors and that eye for item placement. I saw some really good stuff. I saw stuff that made me want a torch. And I saw stuff that was restful, quiet, and functional. And I took copious notes to reference when I cast my votes. Thank all of you for submitting your homes to the contest. Thank you for opening your homes to the unwashed opinionated masses. And thank you for carefully watching our one cat path on the breakfast table. That was my whole reason for entering the contest. LOL! It really means a lot to me to hear the OP of « The Well Decorated House » give such awesome feedback. When I came back to LOTRO (after a 5 year or so hiatus) I was happy to discover that decorating had had a revamp and we could move the items around. At first I merely put things the way I always wanted them, but after buying my first Belfalas home and discovering your thread (searching for lotro housing inspiration and such), something clicked and I started exploring item combinations and themes I had previously thought interesting, but unobtainable with the old system. I spent many weekends creating new characters and visiting homes on servers all over. I visited all your homes on Landroval, I noticed the pathing cat, felt oddly sentimental about the children’s room for Marigold, and absolutely agree about homes that are functional, livable spaces (my first set of considered, decorated homes were all about functional and livable, and also all feature cats XD) and posted on the thread a few months after its creation, but it seemed like most of the original participants had taken a break from the forums and the thread by then. That thread absolutely ignited something in me, and since discovering that decorating in LOTRO was indeed a thing, I pursued my housing ideas and item acquisition the same way I geared up and prepared for raids back at old lvl 75 cap. Thank you for your initial forum post Redswith/Shatterbones and thank you for taking the to visit and share what you think. Yours (and others) passion for decorating inspired something that now gives me endless hours of entertainment and enjoyment. Aha, the suspense and excitement!!!! I really appreciate how much effort and creativity went into these houses. I’ve enjoyed visiting all that I could and would love to visit the other houses that didn’t make the cut as well. I’ve gotten so many great ideas from these and can’t wait to try some new things out in my houses. Congrats and good luck to everyone!